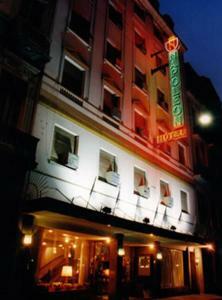 Hotel Napoleon, Buenos Aires discount hotels and accommodation. Located in downtown Buenos Aires, a few minutes distance from The National Congress, Avenida 9 de Julio and Avenida 5 de Mayo. Napoleon Hotel offers warm hospitality, which has traditionallycharacterized it service in order to make the guest feel like at home. View photos, room descriptions and make online reservations at Hotel Napoleon. Save on room prices at Hotel Napoleon, Buenos Aires.